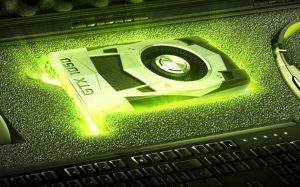 NVIDIA GeForce GTX 1050 and 1050 Ti Release Set for November | Nerd Much? NVIDIA has unveiled two brand new gaming graphics cards that are set to release in just a few weeks, as the company has announced the GeForce GTX 1050 and GTX 1050 Ti. Both of these graphics cards are said to allow buyers to run their favorite games at a smooth 60 FPS, which in itself isn’t too exciting; pretty much any new GPU will do that at this point. But the best part? The GTX 1050 price starts at just $109, with the 1050 Ti releasing at $139. Both GPUs will use the Pascal architecture, and of course, the biggest names in the graphics card manufacturing business will release their own versions of the card, including ASUS, EVGA, Galaxy, Gigabyte, MSI, PNY and Zotac. We don’t have many details on any of their specifics, except we do have a plethora of information regarding the MSI GeForce GTX 1050 gaming series. First, they’ll have a GTX 1050 Ti Gaming 4G with 4GB of GDDR5 RAM, a GTX 1050 Ti Gaming 2G, a 1050 4G OC, a 2GT OC, and a GTX 1050 2G. The 1050 Ti will release on October 25, with the GTX 1050 coming on or before November 8.